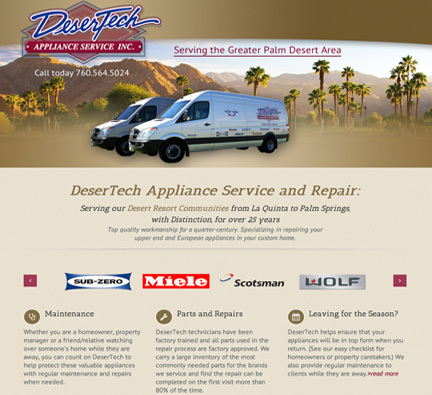 DeserTech is a locally owned and operated family business, that services and repairs high end appliances throughout the Coachella Valley. Their clients include homeowners, property managers, manufacturers, contractors, and builders. They pride themselves on professional service, long term customer relations, and standing behind the service they perform.